You chose to have a beach destination wedding – it’s safe to say that tradition and all things bland are out of the question. You know this party is about to be off the chain… so, how do you tell your guests they’re about to embark on the most magical trip of their lives? With the most unique beach wedding invitations, of course! I’m a big fan of giving a platform here on DWD to those wedding ideas, tips and tricks that can take a destination wedding from great to GRAND. Set the tone. Make an impression. 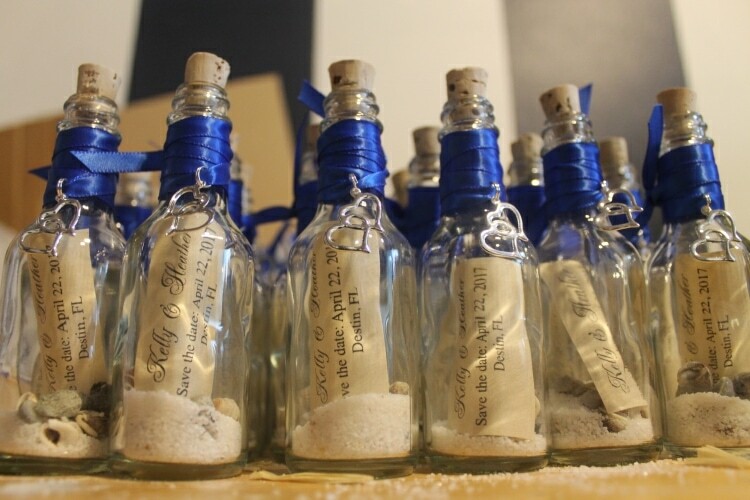 Send wedding invitations in a bottle! Can you think of a more fun way to announce the theme of your destination wedding – especially if it’s at the beach! And while the disclaimer is that this post was sponsored by Invitation in a Bottle, the words, personal experience, and my opinion of the product are all my own. I received a few samples from the folks at Invitation in a Bottle, and cannot wait to share what I love about it. 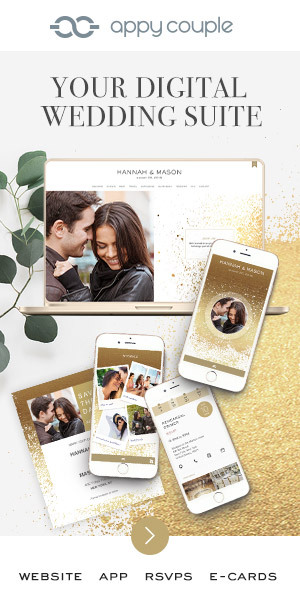 It’s not just about the invitation – you have a number of different opportunities to communicate with your guests throughout the destination wedding journey… whether it’s the save the date, party favors, table decor, or the follow-up ‘thank you’ cards! You don’t have to just pick one though… hell, every time you communicate with your guests it can be a message in a bottle! Careful though, you might spoil ‘em and they’ll start to expect their birthday card every year in a bottle… but that’s another issue for another day. Whether you’re looking for full-service or want to go the DIY route, Invitations in a Bottle delivers amazing quality. By choosing full-service, you’re taking a LOT off your plate, and trusting the professionals to do their thing. 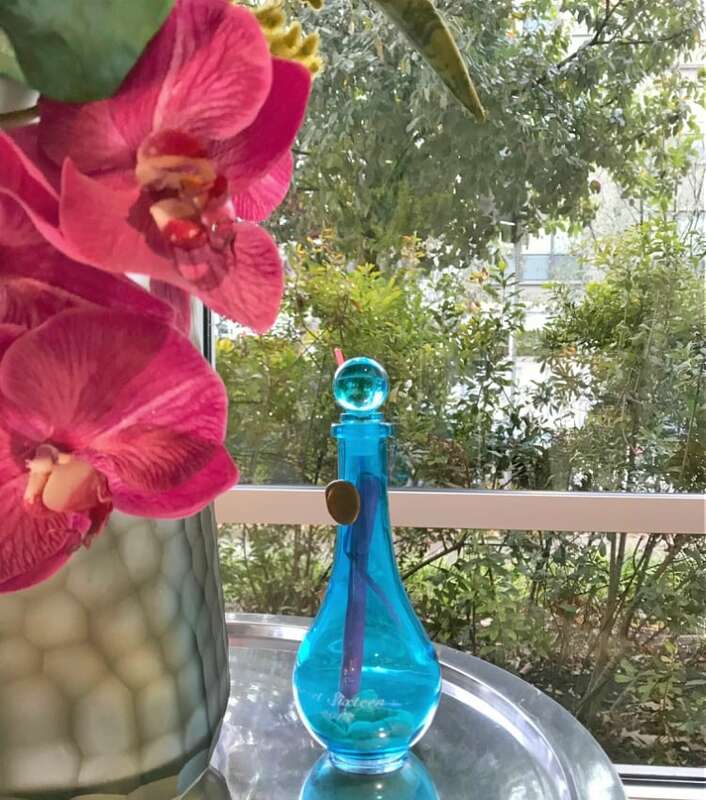 Also, the process couldn’t be any easier when ordering online, and Invitation in a Bottle will take care of shipping each bottle directly to your guests! You get free customization! And this isn’t like when they make you pay per topping on a pizza, and you end up with a $47 pizza… that’s the worst! Invitation in a Bottle wants to ensure you are happy with your particular set of messages, so when it comes to the bottles themselves you can choose plastic or glass, clear or colored, and there are even a variety of corks to choose from! Then it’s time to choose between a number of custom templates to present your message on – you can even engrave some of it right on the bottle itself! In addition to the bottle itself, you can create a line of matching rsvp cards, mailing labels, thank you cards, shipping boxes and more to streamline the theme and stay consistently stylish. These arrived so quickly to my house, that I immediately considered sending bottled up thank yous to all the guests that came to MY destination wedding… but then I remembered I got married 8 years ago and that would be weird. 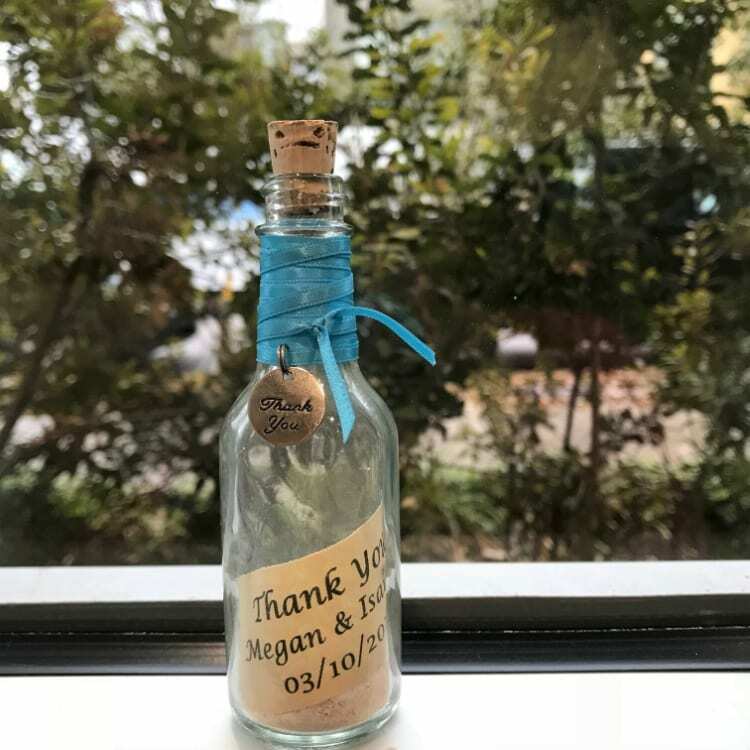 But I am obsessed – these invitations in a bottle were super adorable, and high quality to boot. 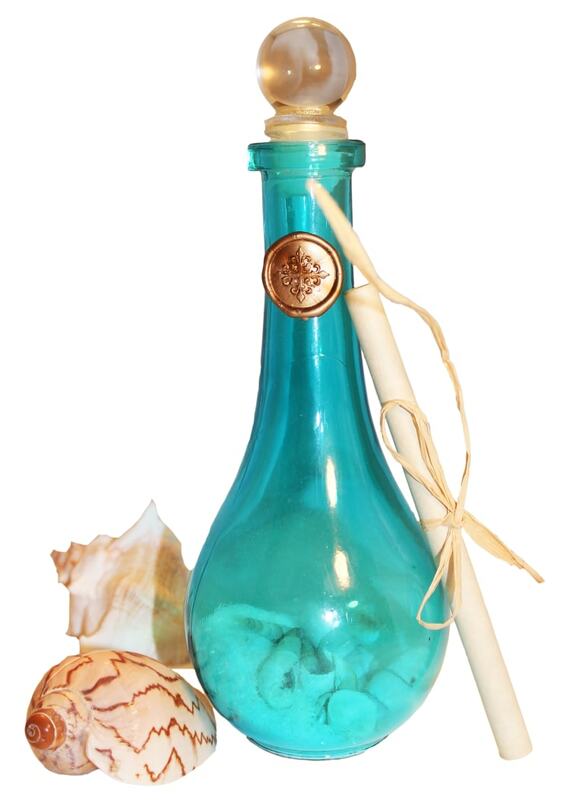 My favorite was the clear blue bottle full of real sand, mini starfish, seashells and a scroll that doubled as the invitation… come on! Imagine getting one of these in the mail and NOT getting super pumped for your friend’s upcoming destination wedding – impossible! If you’re still on the fence, you can order samples for 99 cents. Not even a full dollar! Go order yourself a few today to check out first-hand just how cool these little bottles are. While the disclaimer is that this post was sponsored by Invitation in a Bottle, the words, personal experience, and my opinion of the product are all my own. You can find our full disclosure policy here.